You get up and click on the news. You walk to the bus station and pick up a paper. On the bus platform or in the subway station, you see the TV screens. You pass by the bank, and the stock figures whiz by you. You check your e-mail, and a breaking story comes through on your stream. And then you click on your social-media page, and there is photo of you dancing a poor man’s hustle at a party. You are getting the news and, whether you like it or not, it’s coming all the time. The world can change pretty rapidly, and there is always a report about it. The proliferation of technology, the media, and individual communication has caused news to become the new winds of our time, and they pass us as we speak. Of course, this barrage of news can feel like an assault, and there is the human tendency to want to shun it a bit, but if we want to use our brains and show our intelligence, understanding the news as it happens only stands to make us wiser. The thing in today’s business is that you can be part of the news delivery of the world through your newsletter and catalogue design, and particularly with your newsletter work. Having a newsletter for your business not only informs your clients—both potential and permanent—but also shows that your business is active with new developments happening. This provides the public with the notion that you are a business of serious professional development and that they will see that you are up for whatever business task you offer through service. Having a newsletter fits right in with your web site design plans. You can create a homepage-style newsletter that appears right when clients come to your web site or have one that is sent out through a feed built into your web site. Whichever way you go, make sure you have some sort of scheduling arrangement as to when your newsletter should go out and when clients should expect to receive it. This is something they can count on and will act like a magnet in keeping them close to your business. Then comes what to put into your newsletter. Obviously, the most current information about your business is necessary, plus any promotions, specials or client-interaction services are worth including. Your newsletter should be short and no bigger than an article in size. It should also address clients as directly as possible with language that makes them feel that they are part of your business. Now, this sort of writing and structuring can be tough for some online business pros. If you are one of them, seek out well-known content copywriting services that can create good newsletters. Not all content copywriting services are good at this stuff, so be sure to see a portfolio and find out if they know the ins and outs of electronic newsletters—e.g. where to put links, how to make digital graphics, etc. With online newsletters or ones sent electronically, there might come a time when they fail. That is, they don’t get sent out at the right time, they look messy when posted on your homepage or the program you are using messes up the content’s form or structure. If this happens, you have to do some web site maintenance. There is likely something wrong with whatever you are using to generate your newsletters, and this problem needs to be rectified as soon as possible. News doesn’t always have to be nice, but it has to look great and be clearly legible. Keep this in mind whenever your newsletters go wonky. It pays to be informed these days, and if you’re in online business, it also pays to do some informing. Having a really tight, really good-looking newsletter keeps existing clients up to date while attracting new ones. Keeping up with the news means delivering it, too, and a newsletter is your strong communication vehicle for both. 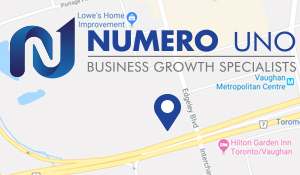 Numero Uno Web Solutions is a search engine optimization (SEO) company in Toronto for startup and small companies from all industries and fields.To get more help on all your SEO, web site design and Web traffic needs, e-mail Numero Uno Web Solutions Inc. at info@numerounoweb.com.